Only one week till SOLIDWORKS World 2018 – the excitement is building! If you’re a SOLIDWORKS user this is the place to be, elbow to elbow with thousands of designers, engineers, educators, students, researchers and visionaries! Three days of learning, celebrating, and experiencing the evolution of 3D design – up close and in real-time. Traditionally day three of SOLIDWORKS World is Student Day. Students and educators can come to the conference for free attend general session and explore the Partner Pavilion. New this year, we’ve added our first ever student session, called “What’s Next? A Panel Discussion for Students by Professional SOLIDWORKS Users.” This 90 minute session will offer a great opportunity for students to meet and interact directly with SOLIDWORKS customers like Vans, Under Armour, MIT Lincoln Labs and Standard Motor Production. Students will hear what professional life could be like after they graduate and the steps they should take in the meantime to help boost their careers. We are very excited to say we received an overwhelming response to this session and are looking forward to meeting with 200 registered students and teachers at our first ever student session! 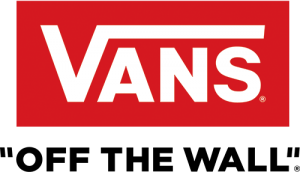 Tinnie Choi, Designer – Innovation and Advanced Projects, Vans, Inc.
Tinnie is a Designer for Vans for almost seven years now. She came from the Product Design field, and is a crossbreed between Footwear Design, 3D visualization and prototyping. She also has a twelve-year-old dog named Katie whom she loves bringing to work on Fridays. Tinnie’s free time is mostly spent volunteering with local non-profit organizations that focus on issues such as human rights and gentrifications in Los Angeles. 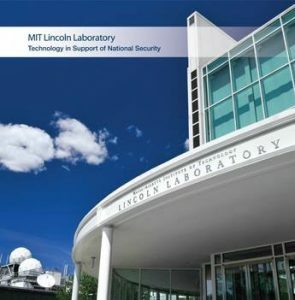 Denise Fitzgerald co-leads Lincoln Laboratory’s Mechanical Engineering group which develops prototype systems critical to national security. The Mechanical Engineering Group is Laboratory’s center for CAD and data management and has extensive capabilities for designing undersea, ground, airborne, and space systems with expertise in the design of large structures, complex mechanisms, and high precision optical systems. Ms. Fitzgerald also leads the Laboratory’s Model Based Enterprise efforts. Gianluca Mattaroccia specializes in designing machines that dramatically increase the efficiency of manufacturing processes. His unique brand of skills has granted him the opportunity to design over 450 machines for brands across multiple industries, creating game-changing products for many organizations including Fortune 500 corporations. With a MS Degree in Mechancial Engineering from the University of Cassino (Italy) he currently serves the position of Senior Tool Engineer at Standard Motor Products. David McManus – Sr. Mgr. Innovation Footwear Design, Under Armour, Inc.
David McManus Sr. Manager Innovation Design Engineering, Under Armour, Inc. David has been in sculpture and digital design for 25 years. He began in ceramics and sculpture, moved to puppet animation and set design at Will Vinton Studios. He then moved to Nike in Prototyping as a Digital Creation Leader for 12 years. 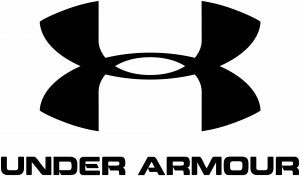 And is now in Innovation at Under Armour. He’s versed in the use of digital tools in product creation, physical modeling and mold creation, evolution of new physical materials and digital processes. Counting down the days with anticipation to share this session with our education community! 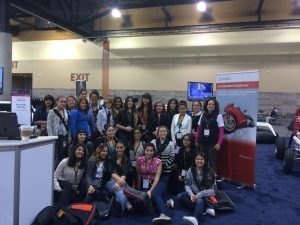 Our hope is that students will make the effort to attend SOLIDWORKS World more and more each year. Not just for all the cool new technology and toys on display, but as an important step along their career development path. Special thanks to GoEngineer for their help in recruiting student and educator attendees. Senior Product Portfolio Manager at DS SolidWorks Corp.
Just a working mom with three kids trying to find the happy balance of life!